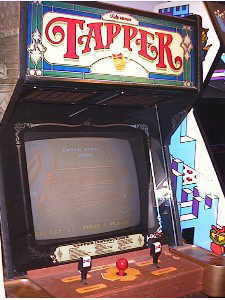 Tapper... The video Game for us drinkers! 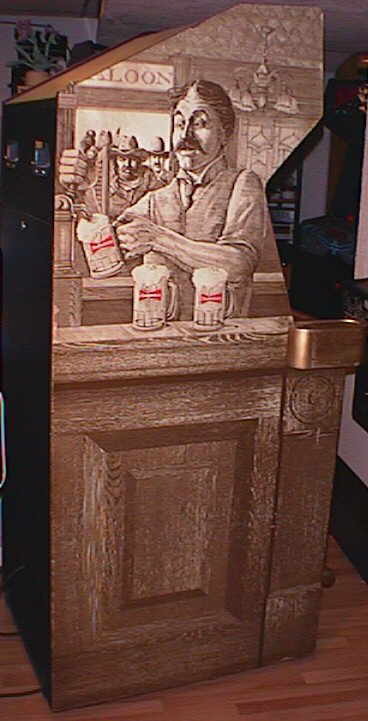 Pull up a bar stool and get the low down on Tapper! 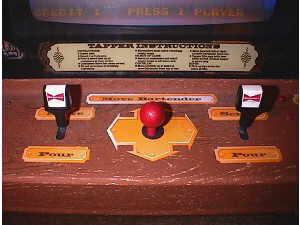 Manufactured by Williams, Tapper holds a copyright of 1983 and has some play mechanics like no other game. 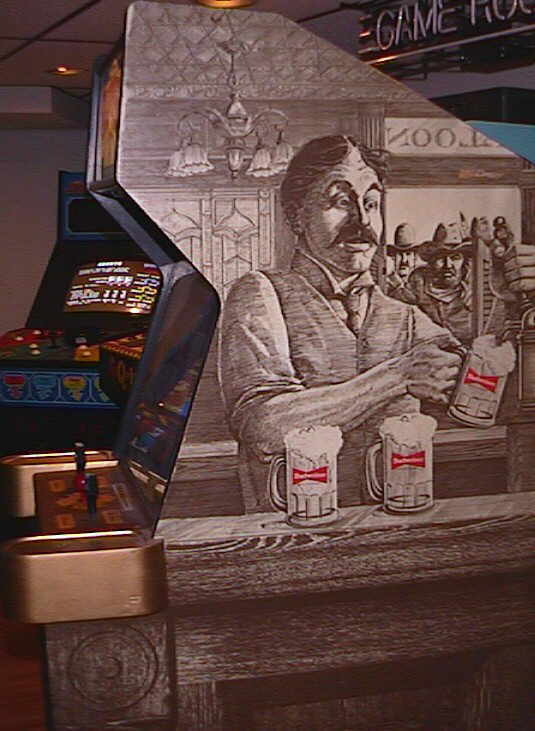 Game play includes filling and serving drinks to patrons as they march down many bars. Serve them before they reach the end of the bar and don't drop any mugs as you serve your customers. Around 3300 uprights were made, 300 cocktail models were also made and there are 10 or 12 prototypes with color side art that were created exclusively for Budweiser floating around somewhere in this world. My Tapper came to me from a local seller but still needed some repair. The last owner had just replaced the p.c. 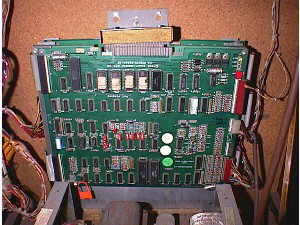 boards and recapped the monitor so electrically the machine was solid. 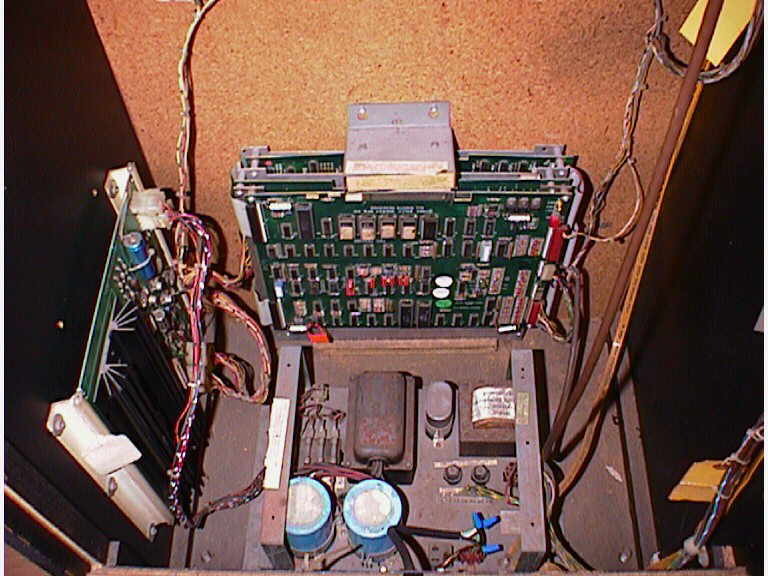 On the "to do" list was the replacement of the missing rear door, and various cabinet cosmic work. With the new door in place I set off to rebuild the coin door. The normal coin repair is a full striping of all the parts, replating the chrome parts, sandblasting the rust off the door, and prettying it all up with a fresh coat of paint. The last repair was on the brass rail. I tried taking the old one off, and cleaning it real good with brass polish but only the end caps cleaned up to the point where they could be reused ,but the rail was shot. Off to Home Depot for some brass tube that I then cut and put in place using the original end caps. When I was done I was left wit a very nice machine. Catch the bartender to go to Tapper sounds! 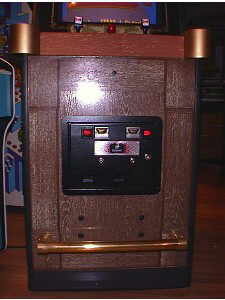 Do you have a Tapper arcade game and need some of it's technical information? Visit the library for the full manual. Click Here for the wiring page or Here for the switch settings.